“Popcorn and a Book” is a feature (formerly bi-weekly) where I compare a book with its adapted film, looking at the content, the way it has been visualized, the experience, etc. I welcome you to participate by doing your own lit/flick comparison on your blog. All I ask is that you leave a link to your post in the comments below with the book/movie title and that you link your post back to this page (URL: https://bookishnotions.wordpress.com/popcorn-and-a-book/). 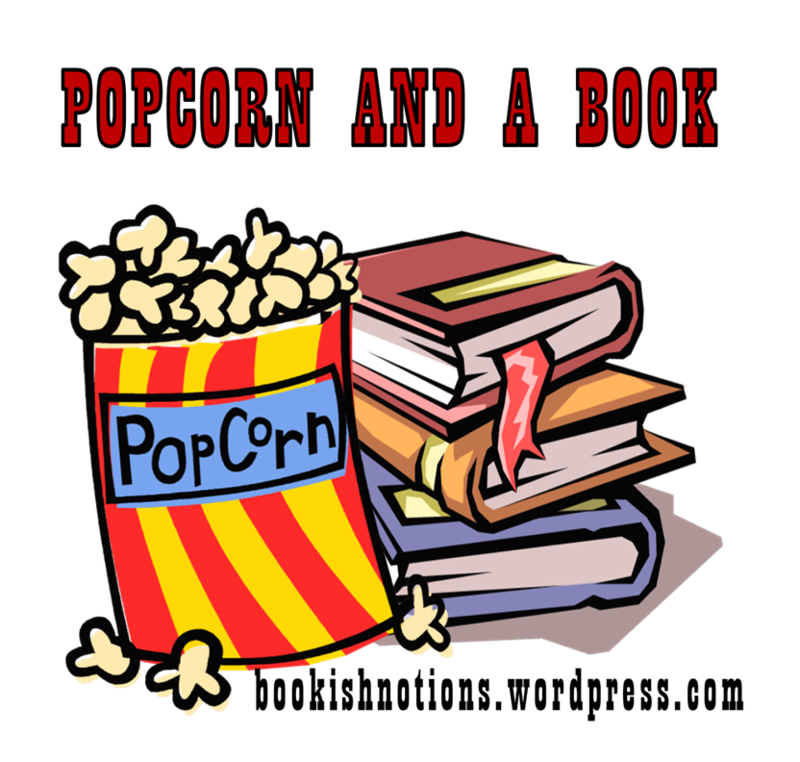 Also feel free to link your post to my site using my “Popcorn and Book” button. I’ll gladly share your link on my next month’s post. Thank you in advance! So read, watch and enjoy! Popcorn and a Book (20): How the Grinch Stole Christmas! Great idea! I was surprised to see ‘A Wrinkle In Time’ was made into a movie! I found you through the Ontario Blog log Book bloggers list.